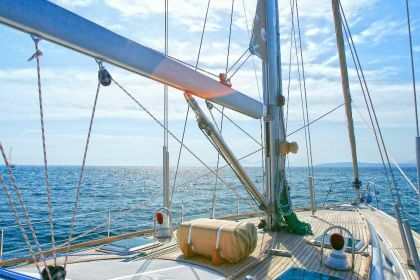 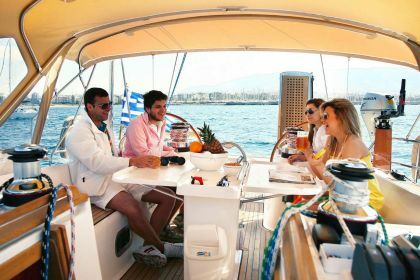 Mythos is a Greek based Ocean Star sailing yacht custom built to provide guests with the ultimate sailing experience in the Greek Islands. 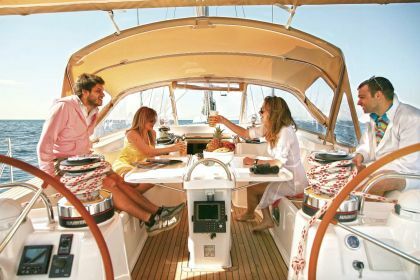 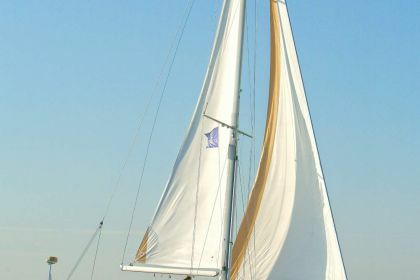 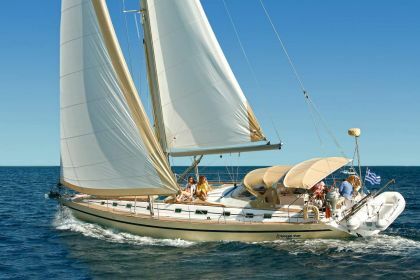 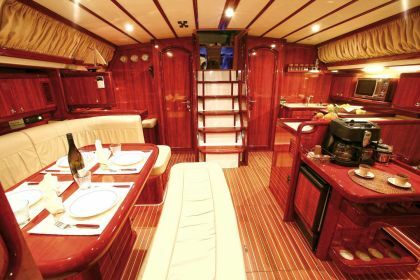 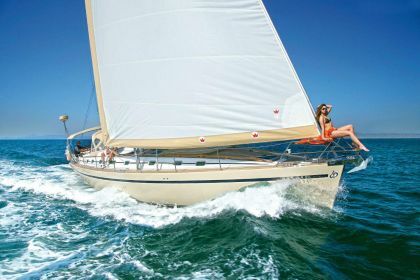 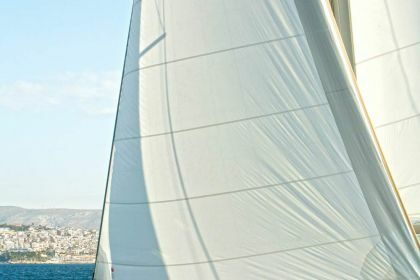 In the unique design of the Ocean star yachts, every detail has been taken into account to allows guests to enjoy high speeds under sail, without sacrificing comfort or safety. 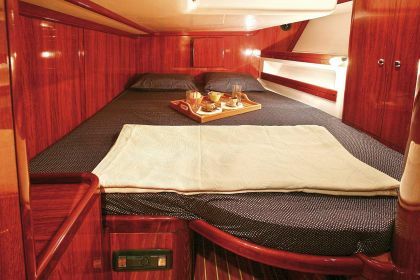 These yachts are lavishly equipped with excellent features both on deck and below. 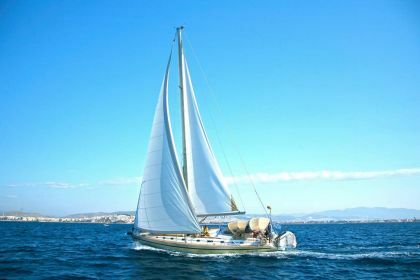 Dingy 3.2m with 5hp outboard, Snorkeling & fishing, Floating mats, Beach games.